NYC UPDATE: Other Music will be having an Animal Collective listening party tonight from 6-8 with free pizza and other fun giveaways. See you there. 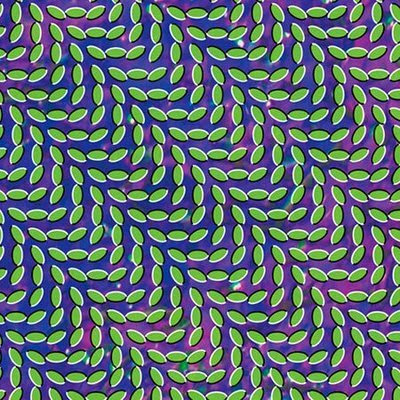 It's been a wild run for Animal Collective's new record Merriweather Post Pavilion. From leaks, to web sheriffs, to Grizzly Bear, to Bradford Cox, it must be a relief for Animal Collective just to finally get this thing out there (legitimately). Almost as a reward for the record's harrowing journey, Pitchfork graced the album with a 9.6 and Best New Music status. Stark contributing writer Tara McCarthy took the trek up to Harlem months ago to take a listen to Merriweather and loved it. Yet, Andrew is not really an AC fan. Whatever your take, Animal Collective's new record will be debated and talked about all year. Merriweather comes out tomorrow digitally and on vinyl. Welcome to 2009.